With hits under her belt like “Dip It Low,” “Us Against The World,” and “Say I” it’s no wonder Chritina Milian is adding yet another notch on to entrepreneurial belt. Christina recently traveled to Chicago promoting her latest venture Viva Diva Wines, I must say I was pleasantly surprised upon meeting the petite beauty, not only was she genuinely humble, she was simply gorgeous in her ripped jeans and baggy shirt. She took time with each fan and signed memorabilia, smiled for photos, and even talked Scandal talk with me when it was my turn. Christina was nice enough to sign for me two photos, a cd, two bottles of wine, and a bottle of moscato, all while chit chatting as if I were on of her friends. HOW CAN A FAN NOT LOVE THAT. 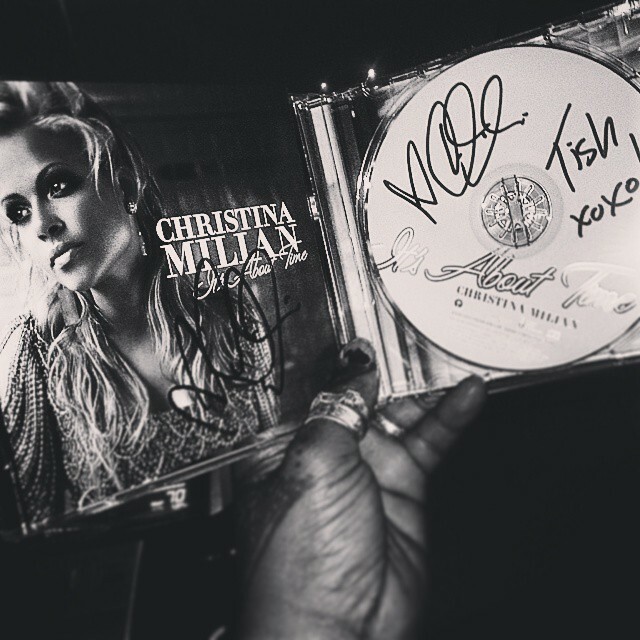 Too often reality strikes and a fan’s image of one of their beloved entertainers is tainted by the snooty attitudes wafting about, not with Christina she was so down to earth. Viva Diva features an assorted variety of moscato flavors as well as prosecco, and wine, I purchased two bottles of the Sweet Red ( and a bottle of moscato (I plan on opening one of the sweet reds only). Moderately priced and a variety of beverages Christina is definitely on the right path to creating another hit. Kudos to you diva. I have no problem supporting artists like her, I can not wait for her new music, soon to be released sometime during the 2014/2015 season. Christina is signed to Lil Wayne’s the YMCB (Young Money/ Cash Money/ Universal label).